While South African-based correspondent Geoffrey York has done important work detailing how Paul Kagame's government has assassinated its opponents and contributed to violence in Eastern Congo, columnist Gerald Caplan has justified its repression and echoed Kigali's position on regional conflicts. The Globe and Mail's recent coverage of Rwanda has been schizophrenic. 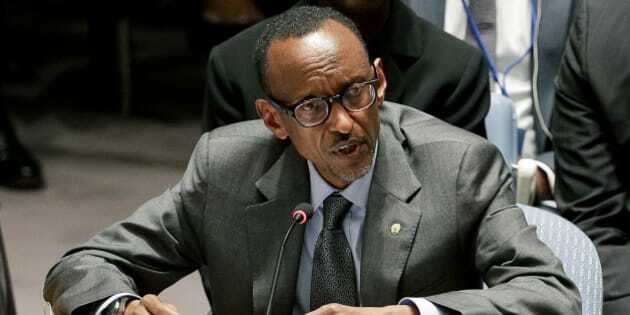 At the start of January York reported on two new books describing the totalitarian nature of President Kagame's regime. "Village informers", wrote York. "Re-education camps. Networks of spies on the streets. Routine surveillance of the entire population. The crushing of the independent media and all political opposition. A ruler who changes the constitution to extend his power after ruling for two decades. It sounds like North Korea, or the totalitarian days of China under Mao. But this is the African nation of Rwanda -- a long-time favourite of Western governments and a major beneficiary of millions of dollars in Canadian government support." A year and a half ago York wrote an explosive investigation headlined "Inside the plots to kill Rwanda's dissidents," which provided compelling evidence that the regime had extended its assassination program, killing (or attempting to) a number of its former top officials who were living in South Africa. Since the initial investigation York has also reported on Rwandan dissidents who've had to flee Belgium for their safety and revealed that Ottawa failed to act after UN and Spanish court investigations concluded Canadian priests Guy Pinard and Claude Simard were killed by soldiers loyal to Kagame in the mid-1990s. At the end of 2012, York reported on Rwanda reasserting control over the mineral rich Eastern Congo. In one of a number of insightful articles York described how "Rwandan sponsored" M23 rebels "hold power by terror and violence." The rebel group added "a [new] layer of administrators, informers, police and other operatives" in and around the city of Goma in part to "bolster" its "grip on the trade in 'blood minerals.'" While York has done what investigative journalists are supposed to do -- comfort the afflicted and afflict the comfortable -- unfortunately the Globe also publishes regular columns by an author who seems to strive for the exact opposite in the case of Rwanda. Gerald Caplan recently wrote about political conflict in Burundi, invoking Kagame's rhetoric of "genocide" all the while ignoring Rwanda's role in organizing armed opposition to the Burundian government. In support of Kigali's aggressive regional posture, Caplan continues to repeat Kagame's rationale for unleashing mayhem in the Congo two decades after the mass killing of Rwandan Tutsi (and Hutu) in 1994. In a 2014 column he wrote that "in the Congo, former génocidaires lead a violent anti-Kagame militia dedicated to 'finishing the work' of the hundred days." In another column Caplan justified Kagame's arrest of presidential opponent Victoire Ingabire and criticized the Law Society of Upper Canada after it called for the release of her American lawyer, who was also imprisoned. Strangely for a former NDP strategist, Caplan has sought to muzzle media that disagree with the current government's version of Rwandan history. In 2014 he signed an open letter condemning the BBC documentary Rwanda's Untold Story and a year earlier wrote a piece about lobbying the University of Toronto to remove the Taylor Report, a program on campus radio, from air because it hosted critics of the Rwandan government. Caplan failed to inform readers about his ties to the regime in Kigali. He started an organization with Rwanda's current Foreign Minister Louise Mushikiwabo and said he stays at her family's hotel when visiting the country. Caplan has also spoken at a number of events in Kigali and New York organized by the Rwandan government. So, who to believe? York or Caplan? Is Kagame a saint or dictator? My money is on the investigative journalist.